Barley Review or Generosity Post? 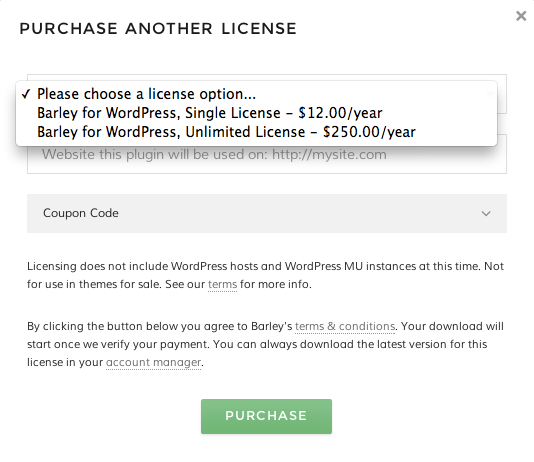 For a week or two I’ve promised to write more than a tweet about Barley – a new inline editing solution (with a plugin specifically for WordPress). But I’ve also been doing a series on Generosity, and wasn’t sure when I’d fit it in. Then it hit me – I could do a review of Barley while being generous at the same time! Before I tell you about Barley, I need to make sure you understand what this holy grail epic adventure is really about. See way back when content management systems first got their start, everyone had the same idea. Why do we have to log in and edit articles on the “admin” interface? The idea, as I’ve said, the holy grail, was the idea that you could just click directly on the text and just change it. You’d have to think about front-end styling (like themes in WordPress) to make sure you were compatible. What if people wanted to do more than just edit text? You’d have to support images and maybe even video. It would have to be super, super simple – and yet flexible – without slowing down your site. 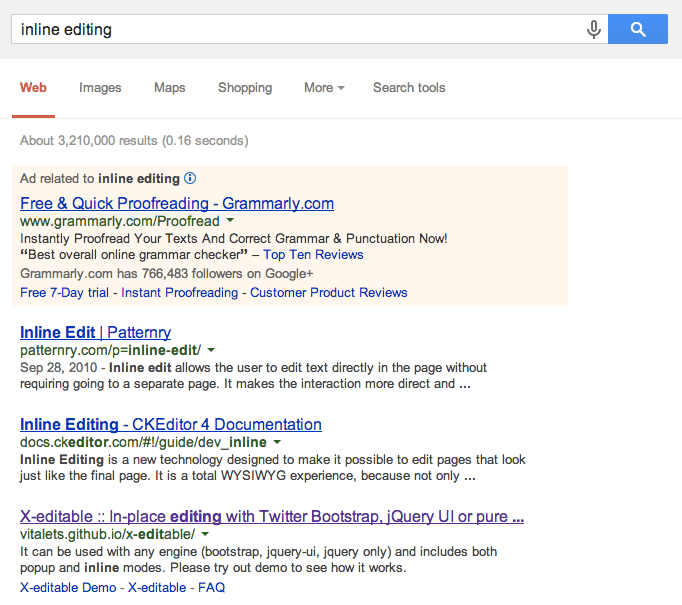 So while the idea of inline editing was clear for people, the delivery of a solution was a long time in coming. If you head to Google and do a search for inline editing, you’ll see over 3 million responses – with tons of solutions. The problem with all of them is that when you dig into most of them, they tell you how you have to change your own theme/site. 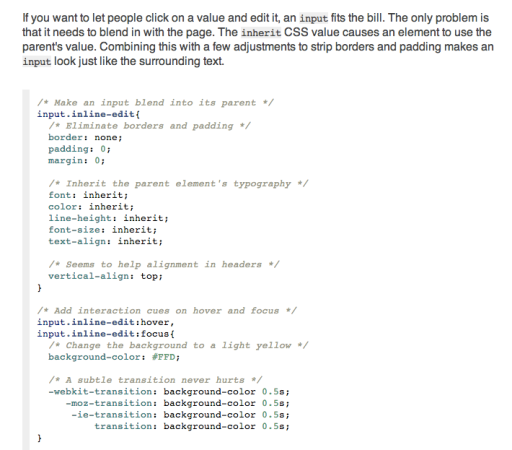 If the point of inline editing is to make it easy for non-developers to simply edit their own text/site, why on Earth would you expect that they’d be able to go into their own theme/site and start editing the CSS styles in the code? And that, my friends, is why it’s been a holy grail – in my humble opinion. Because the requirements to use these cool tools have been too complicated for end users, who want to leverage the benefit of this solution. But Barley ends all of that! On a WordPress site, where I tested it, you simply install it and it works. I tried it on a WooThemes theme that I was working on, and I didn’t have to change a single thing. It just worked. All without doing anything more than just clicking on the text. For $12 (as of the typing of this post), you can get the plugin and do all of this on your own site. The price ($12/site) isn’t bad. Especially if you’re delivering this value to your customers as you design their site. If you do a lot of sites a year, you might look at investing in the Unlimited license, which is $250 for a year. But wait, isn’t WordPress doing this? As you read all this, you may be thinking – “Wait a minute, didn’t I hear someone say that WordPress core was going to do something like this?” and you’d be right – I’ve heard the same rumors. And if they pursue it, the folks behind Barley (Plain) will have competition. The issue is that Barley, while currently a product, is more of a feature than a product. Here’s what I mean. In good times, features become products and products become companies. In hard times, companies become products and products become features. 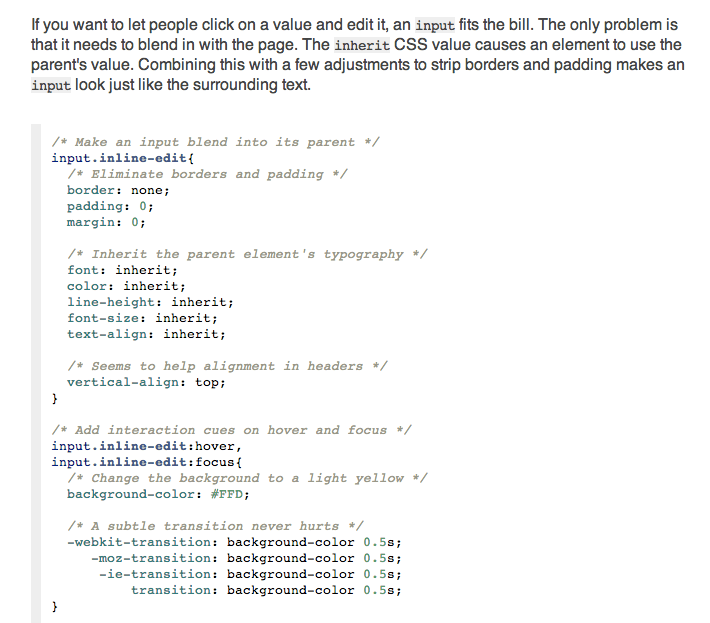 So depending on how you feel about the times we’re in, you might or could make the case that inline editing is a feature. And as a feature, it’s likely to face competition from others who look at what Barley’s done and borrow the concepts for their own products. Now, here’s the thing. I don’t know any of the folks over at Plain. But I like that their tag line is that they share a passion for “saying no” – and when they talk about “sharing” that passion, you know who they’re sharing it with, right? But I promised you that I’d fit this into my generosity series somehow, right? And you know I’ve been doing product development for almost 20 years, all on the web, and that I coach startups in my spare time. One of the ways we can all be more generous is to share of our own history and experience, so that others who are earlier on their journeys (that’s a nice way of saying that I’m old and they’re young), can benefit from our learning. So let me suggest some simple ways they might stave off the competition and sustain a long-term and healthy future for themselves. License their solution to theme developers (like WooThemes, Headway, iThemes and more). License their solution to major WordPress hosts like WP Engine & Pagely (another distribution deal). License it to non-WP hosts trying to build their own page-builders (like GoDaddy). Create an API that allows the limited introduction of additional markup options for theme creators. Create plugins for the major CMS platforms out there (to broaden their markets). Every one of these options is a drive for greater distribution before the competition arrives, so that ubiquity creates a de facto leader. Then it’s all about innovating faster than everyone else, so much so that everyone looks at the playing field and decides to license their solution rather than build their own. That’s how I’d do it. And they look like smart folks, so I’m guessing they’re already on it.